Virago Spirits, LLC is proud to announce that its Four-Port Rum and Ruby Port Cask-Finished Rum won prestigious honors in the 2019 Judging of Craft Spirits by the American Distilling Institute (ADI). The awards were given at the 2019 Craft Spirits Conference and Expo held in Denver, Colorado on March 19, 2019. Virago Spirits took home our first medals at the 2019 World Spirits Awards. Our Four-Port Rum received a gold medal and our Port Cask Finished Rum received a platinum medal with “Best of Show” recognition. Thank you to Virginia Living’s readers for voting Virago Spirits the best rum in Virginia. See the full list of their Top Beverage Maker Award winners here. What released the essence of Virago Spirits? What moves a lawyer, an investment banker and a sales executive to become a team of entrepreneurs? Not just entrepreneurs but founders of a craft distillery in the capital of Virginia. Four-Port Rum is a provocative blend of four rums from ports across the Caribbean, distilled low and slow. A balance of bold spice, notes of fig and vanilla, and an aging process of up to eight years leads to a smooth, slightly smoky, quaffable finish. 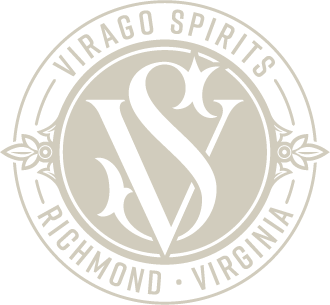 Joining the bustling row of urban eateries, office spaces and craft beverage joints that line Richmond’s Scott’s Addition is Virago Spirits, a must-try, rustic distillery owned by brothers Barry, Barton and Brad Haneberg.